Table 2. Outstanding Vines and Groundcovers for Texas. 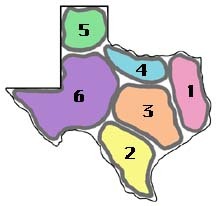 Note - Plants with number 7 are adaptable to most areas of Texas.